I remember going to the cinema at least 5 times with different or same group of friends when Titanic was screening here in Singapore. I tear each time and felt the chill down my spine each time I recall certain parts from the movie. 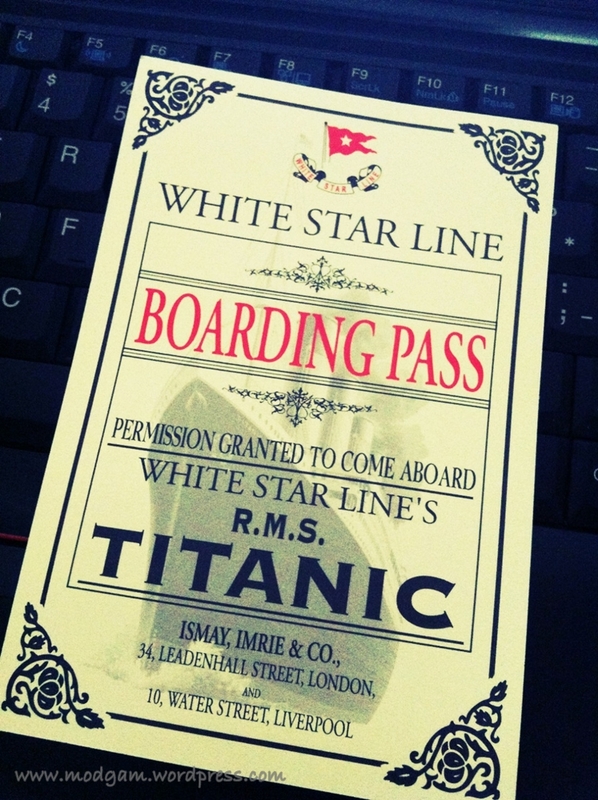 I caught Titanic 3D again on 15 April 2012 with a girlfriend of mine. The same chill and feeling I had sooooo many years ago came rushing back, this is the kind of movie that touches your heart no matter how many times you’ve watched it. 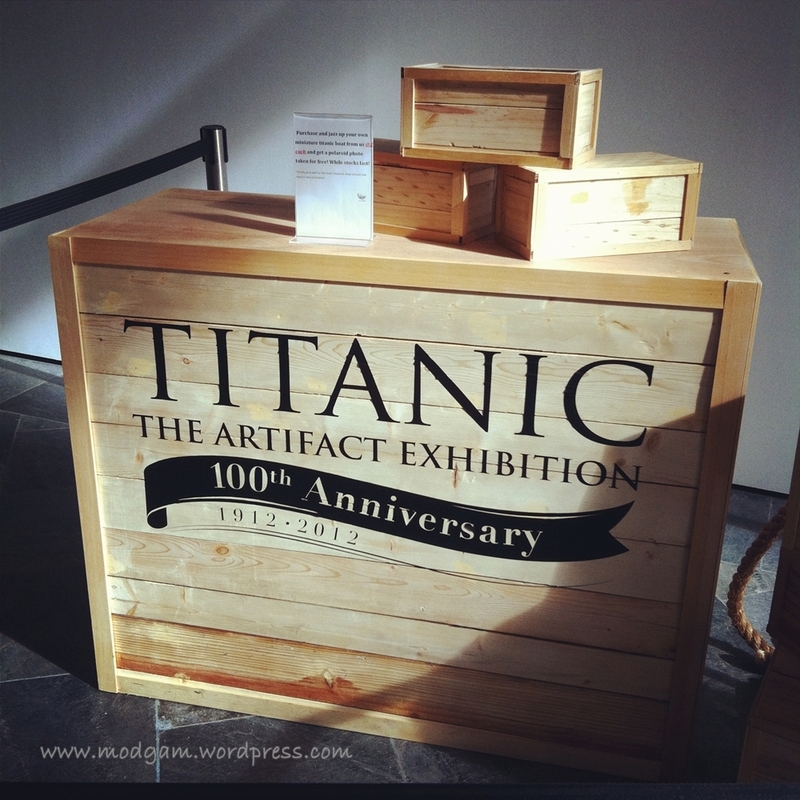 After my Andy Warhol exhibition, I went to Titanic The Artifact Exhibition. 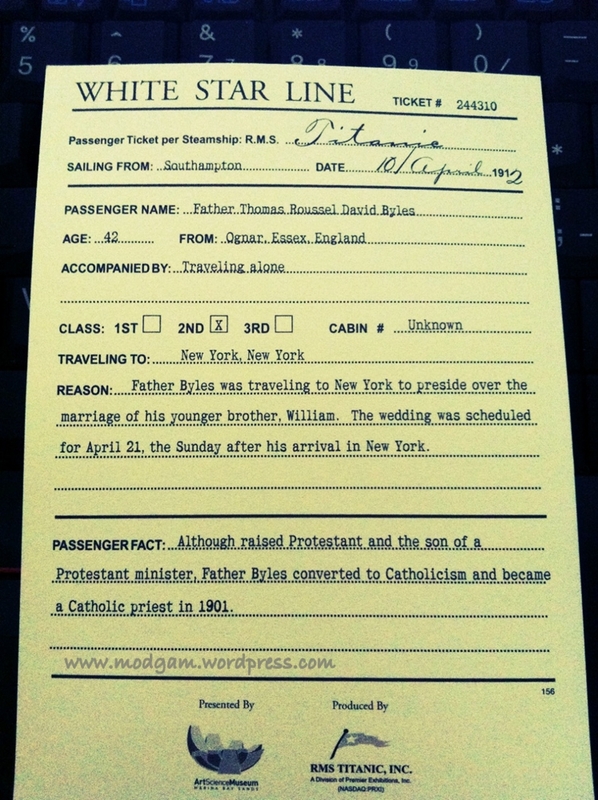 I didn’t know the Titanic exhibition started out as a game because we were given a boarding card with the name of a person who had been on board. As we go along, till a certain room, there will be a list of names and you can check to see if the person whose boarding pass you are holding makes it alive or is still missing. I saw everyone standing infront of the list and started searching and was glad i overheard a few friends discussing thus I started searching for mine too. Very exciting feeling for I kinda hope to find him in the alive section but it didn’t take me long to find out mine was under the Lost name list. The exhibition is fabulous and it takes you inside Titanic, you get to read the many characters’ bio, see their belongings ,see the China-ware, real size bedrooms and the famous Titanic clock staircase coming “alive” right infront of your eyes.. As you walk along, you will come across this room with the settings of Titanic underwater. It felt so real its kinda sad knowing so many people died in this unsinkable ship. There is also a ‘Touch the Iceberg’ corner where one can experience how cold the freezing salt water can be. You have really gotto drop by soon to experience it all. You won’t regret it! This exhibition ends 29 April 2012, so hurry down! Oh wow the exhibition sounds exactly the same as the one I visited in Orlando, Florida – everything from the card you receive to the touch the ice part. I agree with your feelings, I was moved as well and there was a lot of information presented, I also appreciated the scenes they constructed, my favourites were the staircase and faux deck with stars. i agreed with you for i was standing right infront of the staircase and all the images of the last scene came flowing back where everyone including Leonardo was waiting for Kate… soooo touching! I would love to see that exhibition-sends chills down my spine just thinking about it. i know right… its a total different feeling seeing it right infront of you. I would love to see this. Unfortunately, I’m in England. I’ve been wanting to go to the Southampton exhibition for years.